Well... what a fab day we were blessed with. Some good dry weather even if it was about it muggy. My plan had gone out the window after having 2 weeks before the race off. I knew I'd done plenty of training and had been feeling pretty strong and confident. Unsure of the ankle situation I muscled into the the back of the over 2hrs section at the start line. Once we got rolling the race seemed pretty good. It was well marahalled and very well supported with plenty of shouts of encouragement. A couple of good hills ( I was glad I'd been up and down the wrekin a few times ) and a slightly undulating later part of the race made for a tough last few miles. By the time I'd got to mile 10 I was feeling tired.. I'd spotted a WRR top a while ago and had spent the last few miles trying to catch up. I hadn't seen most of the guys for some time so I knew they were well out in front. I caught up to Megan and ran with her for the last few miles. She was also aiming for a sub 2hrs time. Just keeping going was the goal and a good finish was looking likely. By the time I got to the last half mile I was definitely glad I was nearly home. I had pretty much run out of steam by the time I crossed the line just behind Megan. She was amazing in those last few hundred yards..really strong and determined. I was really chuffed with my time of a very respectable 1.54.05... I think the whole of the WRR team did well in tough muggy heat... we certainly earned our medals, Tshirts and Peanut butter !! Onwards now to the next few races..
​In a moment of madness a few weeks ago I decided to enter my first trail 10km run. I had always wanted to do one and when I saw we had one at Bridgnorth there really was no excuse. What swung it for me was the race literature that said no time limit!! That will do me I thought. We arrived early for a 11.30 am kick off just in time to see Polly and Sarah set off in the rain in the 5km race. As Polly shouted to me "you must be mad" I started to get worried. What had I let myself in for. I went to look at the hill you had to run up at the finish and felt very scared. At that point I had to give myself a good talking to and told myself I would be OK as there was no time limit and anyway It can't be as bad as the Wrekin Relay route can It? Once the race gun went and we were off, no going back now I thought so get on with it. We had a lovely long down hill start which suits me as it gave me chance to settle down. Before long we turned off into the meadow and the 2km sign was already in sight. Everyone said what a lovely scenic route it was but to be honest I didn't see much as I was looking where my feet were going, trying to avoid cow pats, tree roots, slippy mud etc. The course went through some uphill bits, then a lovely trail path through the trees on to a wet grassy meadow. There was a water station at 5km and all was going well. Then I saw it . The biggest mountain you have ever seen, it was massive, I had no chance and had to walk/ crawl to the top but once over the other side soon got back into a nice rhythm with my running. Running on the Wrekin on a Thurs night was certainly paying off. Soon the 9km sign was in sight, ah only 1 more km to go and I know exactly how far that is thanks to Mr Gills improvers group who do 1 km sprints down the Silkin Way. Unfortunately this 1 km was all up hill. Big thanks to Mark Goodridge who had finished the race and was waiting at the bottom of the hill with lots of shouts of encouragement. At this point I was with a group of ladies from the same running club who all started to walk up the hill. I carried on with my fairy footsteps as I could see my husband at the next bend and I wanted to make him proud of me not see me walking. It was a slow trot to the top of the hill then a dash to the finish line. I was delighted with my time of 1.16. Everyone received a plastic medal , bottle of water and a cereal bar on finishing. It was over and I had loved it, a great experience and apart from the 2 big hills ran all the way. The race was very well organised, all the marshals were lovely and friendly and there is a smashing tea shop at the end. Only 151 people did the 10km run but such a lovely race I am sure more will do it next year as the news spreads. I am converted, trail running it's the future. Give it a go! ​Last year I joined half way through the beginners group with WRR. I wanted to get back into fitness after suffering with a knee injury for 2 years. After being discharged from the army due to my injuries I was told I would struggle to run again. 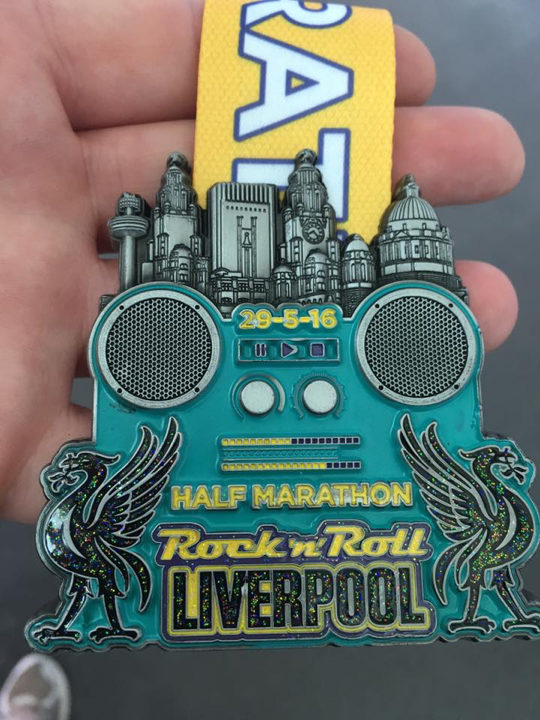 Yet here I am about to take on my 4th half marathon, Liverpool Rock and Roll. I was really looking forward to it after doing Chester half 2 weeks previous. I felt ready and excited and we could not have asked for better weather. After a very stressful drive down and getting lost around Liverpool we finally made it. I felt like a kid in a sweet shop. We started off in waves and it felt like it took forever to just to get to the start line. But as soon as we started off it was great. The atmosphere and support was brilliant right from the off. I have never been to Liverpool before and running through the town to start off with my mind was instantly took off the running as I was interested at looking what was going on around me. After the first few miles I could hear a cheering voice and I could see Jennifer Harrower who gave us great support. I felt really comfortable 8 miles in and the weather started to get a little hotter. A harrier runner started running with me and we chatted for the next mile. At mile 9 I hit a problem that I haven’t had before. I could feel the blisters starting to appear on my left foot, at 9 and a half miles I looked down at my trainers and I could see blood coming through my trainer and my feet became really painful. I was determined to carry on, I seen a 1st aid tent at the 10 mile point but didn’t want to stop. I just wanted to get to the finish line. The last 3 miles was just painful but as soon as I reached the last stretch to the finish the crowd started cheering and it lifted me up again. I suddenly forgot about the pain my feet were in. Not sure where my energy came from, but I finished with a sprint. I soon regretted it though as I passed the finish line my feet were in so much pain I could hardly walk. As soon as I got given my medal and goody bag which was excellent, I went straight to the bar for my free pint of lager (which some would say was the best part of the run). 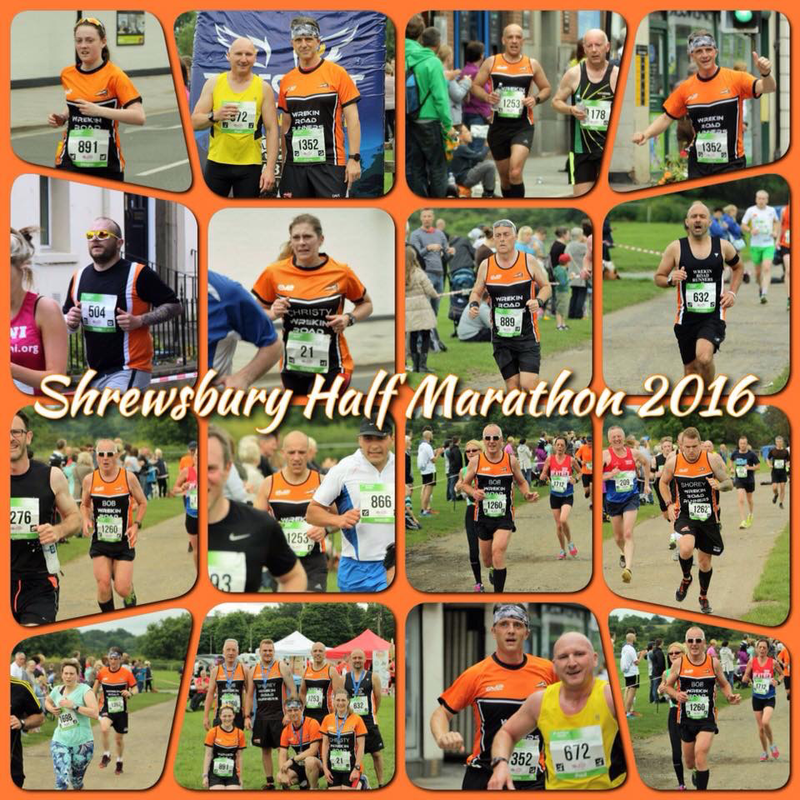 This race was really good to do as its great value for money and I would recommend it to anyone. I gave my feet a week’s rest and after investing in some new trainers, I’m ready to take on my 5th half marathon on Sunday. I could not do it without the great support from the club and the amazing people that I run with that keep me going each week. As this is our special year John said he always wanted to see the Faroes, so I got on the website and low and behold I found a race and we got to do just that. We flew to Edinburgh and then on to the Faroes. As the weather was perfect, we flew through the mountains, it was sheer magic. 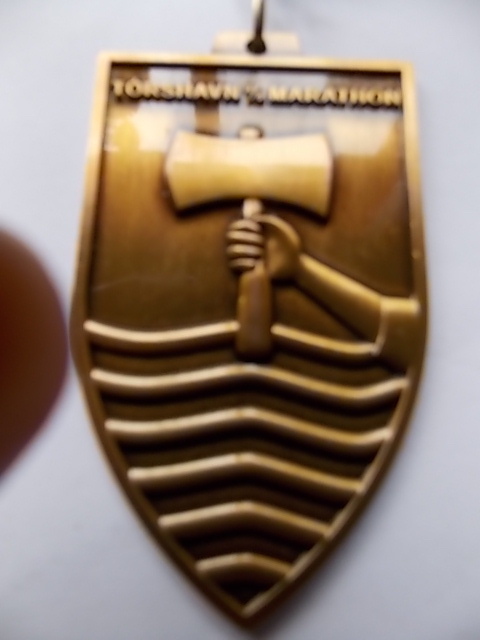 We were with a group of other runner so a taxi was waiting for our 40Km ride to the smallish city in the world through long tunnels, one under the sea and one through the mountain up some big hill, realising that this was part of the 1/2m at Vagur and went to collect our chip and number. I did get the odd "look at this short and dumpy senior person" and questions were asked: "Will you be alright? "Have you done much running?" and "It will be very hot out there tomorrow!" I just smile and I'll give it a go as I am only doing the 1/2 , I grabbed me number and left them muttering . It was music festival weekend on Friday night, Rock & Roll. John said "Don't even think about going, your race is the next day!" Drat! However the music was just out side the hotel and it finished at 4am so not much sleep! On the day of the race I went for a little run then got me head down for a quick nap. 2pm soon comes round. It was red hot, the sun was in full swing. There were about 300 which included marathoners, 1/2 and doggie walkers. Off we went around the city, which was hills and more hills but I soon settled down. After 8k we left the city and off along the coast line, blue sky everywhere and becoming very hot. Had a encounter with a miserable looking black sheep and he followed me for a while but the gave up. As the road was completely closed to traffic it was quite weird but just fantastic! Not easy, but I was determined to finish it. At last I reached the top to turn round, some runners were struggling and sat on the side of the road through the heat. I put plan B into action and ran from one water station to the next. Attracted to the water and banana and just kept a gentle speed. At 20km I try to phone John to have the flag ready somewhere up the before the finish when all of a sudden two lads come running out of the pub to see if I was ok; I reply "Yes, I am try to get John out of the pub with me flag". " Well come in for a drink!" "No I couldn't , I want to finish the race!" I kept going and met John with flag. He said "I knew you were ok, I could hear you on your mobile with a load of drunks!" You can tell how hot it was the winner of the marathon was 15 minutes longer and the first lady was 3 1/2 hrs. The support from everybody were great I was very pleased as I planned for 4hrs and my time was 4hr 3m and my medal was well worth the hard slog up the hills. As I agreed to meet the boys later on, when we meet up I found out one was from Shrewsbury, one from Canada one from Wolverhampton and the rest is history! There is more to tell but that's enough for now!